B. Kosuge: It seems as though Byron has either consulted or made wine for most of the pinot producers in the valley. An unbelievably nice and attentive guy, he provided the best wine tasting experience I have had (next to Morlet, perhaps). His pinots are phenomenal and his chards are right there, too. Makes his wine in a custom crush facility in Santa Rosa. Appointment Only. Flowers: Stunning property out on the Sonoma Coast. Make some spectacular Chardonnays and Pinot Noirs. Certainly a trip to get out (and up) there–plan on at least an hour and a half from Sonoma town–but worth going in my opinion. Need to call ahead and make a reservation. Appointment Only. Freeman: A newish winery just outside of Sebastopol. A beautiful winery and setting. Eric (and Ed) are really making some incredible wines. The winery is beautiful and Eric is an incredibly nice guy. UPDATE: Eric left the winery to take a position closer to his home in Sacremento. I am not sure who is calling the shots anymore in the winery. Appointment Only. Hirsch: David Hirsch is one of the pioneers in the ‘true’ Sonoma Coast. Started the vineyard back in 1980 and sold off the fruit. Started making their own wine with the 2002 vintage. About three miles or so as the crow flies from Flowers, but it takes at least 45 minutes to drive it. An unassuming place, but Jasmine Hirsch is incredible and the wine is legendary. Appointment Only. J Vineyards: To quote Joe Walsh: “Ain’t never been there, they tell me it’s nice.” It is true, I have yet to visit (but hope to rectify that in April 2015, but they produce some of the best sparkling wines in California. Their still wines are not too shabby either! They have several different options for a visit ranging from $20 for a standard tasting all the way up to $75 for a wine and food pairing experience in the “Bubble Room.” Tasting Room. Littorai: Another legend in Sonoma pinot circles is Ted Lemon of Littorai. Make both pinot and chardonnay and both are fantastic. Farms biodynamically and has a great tour and explanation of what biodynamics entails. If you visit (and you should) be ready to spend a good hour. Appointment Only. Siduri: One of my favorite producers. Great pinot, but also syrah and some whites. Fun tasting atmosphere even though Adam is a huge Cowboys fan. Appointment Only, but they happen every hour. Skewis: Top notch pinot. Hank and Maggie are the nicest people you will ever want to meet. I have not been to their new tasting room, but will get there this Spring. I’m sure it’s great, but I think I will miss the rusticity of the old ‘ghetto’. Tasting Room. Of course, in the great tradition of blogging, you post on mine, I post on yours. I really like your list here and I am happy that not only do I agree on all of them, but I see a few that I am not familiar with (yet). However, one glaring omission that I believe you will be very pleased to discover, is Fort Ross. I was turned onto them years ago when I met a guy in a wine store who worked at Flowers for a harvest, and he said that they all drank pinot from Fort Ross when the owners weren’t looking. It’s actually just down a dirt road from Flowers, heading further towards the cliffs of the Sonoma Coast. 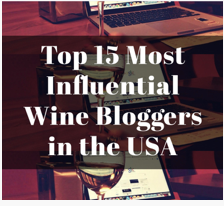 Their pinots are on par with many of the ones you mention here. It can be somewhat frustrating to find, but I’ve had decent luck in NYC and it does pop up in other random places I’ve been as well. I’m hoping you’ll be adding them to your list. Hey thanks Jack! We’re heading out there again soon, we will have to check out Fort Ross! And Buena Vista Winery established in 1857. I will definitely try Buena Vista one of these trips!